For a healthy sugar free snack, why not try your hand at making your own savoury crackers? 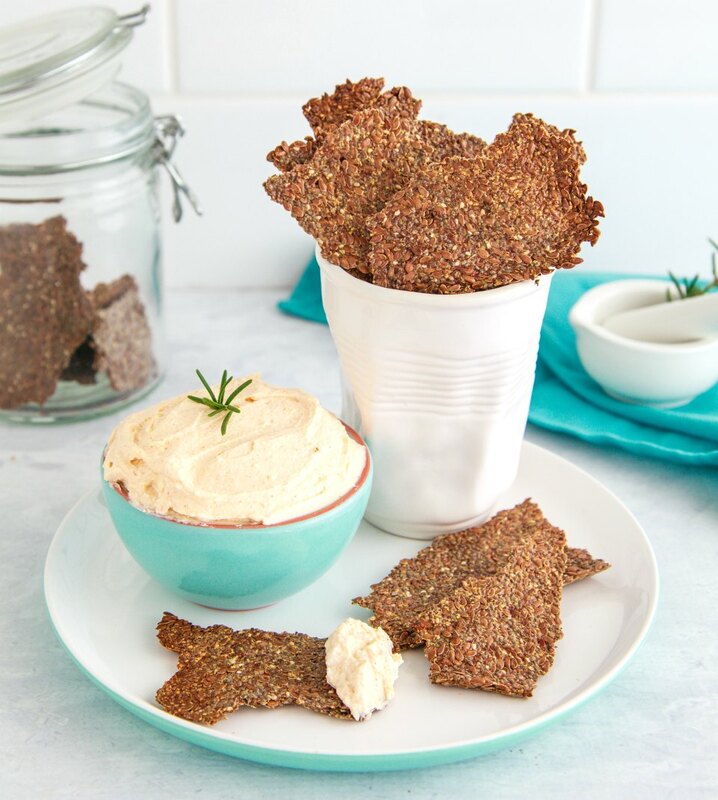 These Rosemary And Flaxseed Crackers are perfect with some hummus (try our recipe here or just use store-bought). This recipe comes from the 28 Day Weight Loss Challenge. Each month our weight loss challenges are themed, targeting things like reducing sugar, budget recipes, meals for fussy eaters, recipes with 5 ingredients or less, and many more. Combine all ingredients, except the hummus, and set aside to rest for 10-15 minutes. Mixture will thicken and gel. Spread the mixture in a thin, even layer over the lined baking tray. Bake for 15-20 minutes or until slightly golden. Carefully flip the cracker over onto a new piece of baking paper and remove the original baking paper to expose the underside of the cracker. Return the cracker to the oven and bake for another 10-15 minutes, watching carefully to ensure they don’t burn. Break into pieces and divide into 6 serves. Serve each portion of crackers with 2 tbsp of hummus.